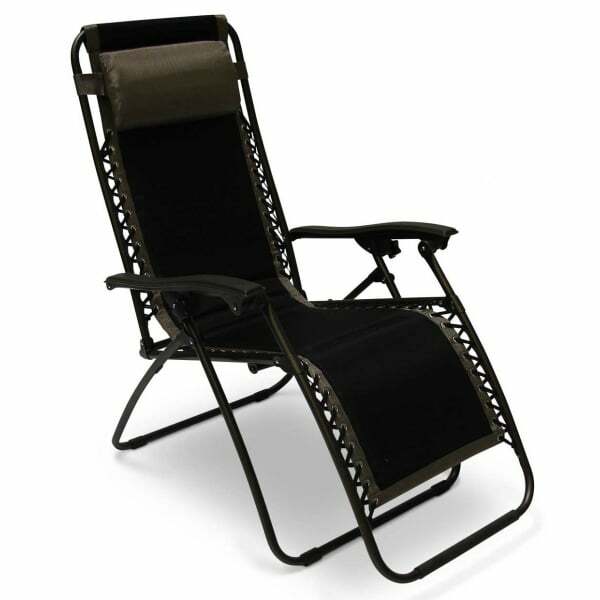 Royalcraft Zero Gravity Padded Relaxer Chair: This stylish zero gravity relaxer chair is perfect for enjoying the summer sun and features an added touch of luxury being fully padded with a padded head rest cushion. The comfortable and durable textylene fabric is weatherproof and suitable for use all year round, meaning that this attractive relaxer chair can be used outside in the garden as well as indoors in a conservatory. The tubular steel frame is strong yet lightweight and this relaxer chair can be folded when not in use for easy storage. A choice of colours enables you to co-ordinate this chair with your setting. A 1 year manaufacturer's warranty is included.